Shadows were settling in, creating dense caverns of blackness where sunlight was nil and images of forest life hidden, suffocated by darkness. There in the shadowy surround burnished golds, auburns, and burgundies of late fall came alive. Even though the colors grew tired in their last hoorah before falling to the earth, the darkness around them seemed to enhance their glory. The deepened color of the leaves almost glowed against the darkness of the shadows, emboldened by the stark contrast. And there was my lesson. Darkness, even though present, was part of a greater picture. Its presence actually undergirded and amplified the glory of the autumn season, rather than overcoming it. 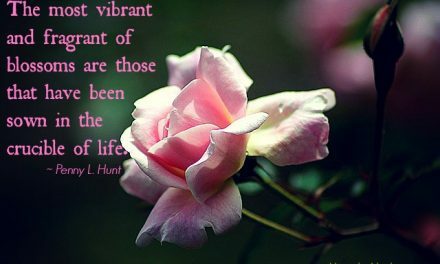 The colors radiated brilliance because of the darkness surrounding them. Without the darkness the leaves would have been lackluster. I wonder if the darkness surrounding me of late — the darkness that tried to consume me — has actually caused the light of God’s glory to shine brighter. Richer. Deeper still, illuminating the evidence of His Spirit within me. Honestly, I think this is true. Have you experienced the same? There is something to be said about the fellowship of His suffering. As difficulties caused me to press harder into the Lord and depend on Him fully, I believe my awareness of His presence awakened. I could feel His comfort, embrace His peace. In my despair I learned to be still and remember that He alone is God and that He is for me, therefore no one or no thing could be against me. I believe this image is what the Lord wanted me to see. He is not a lackadaisical God — aloof, and separate. His love for us is fierce. 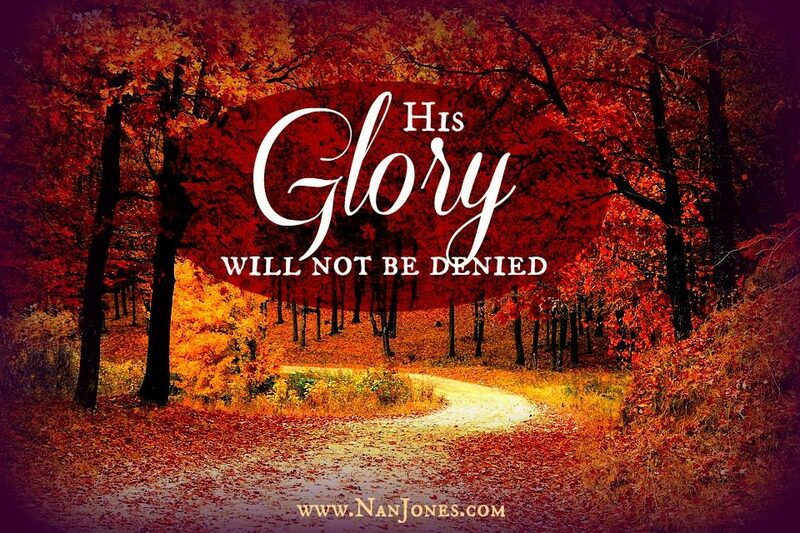 His glory will not be denied. The harder darkness tries to shroud me with suffocating despair, the brighter is the Life-Light of His glory ablaze within and upon me. And upon you, for you are loved by an awesome God who will never allow the darkness to overcome you.